Denver Nuggets made national headlines Thursday when they signed point guard Isaiah Thomas to a one-year, $2 million veteran’s minimum deal according to NBA insider Adrian Wojnarowski. 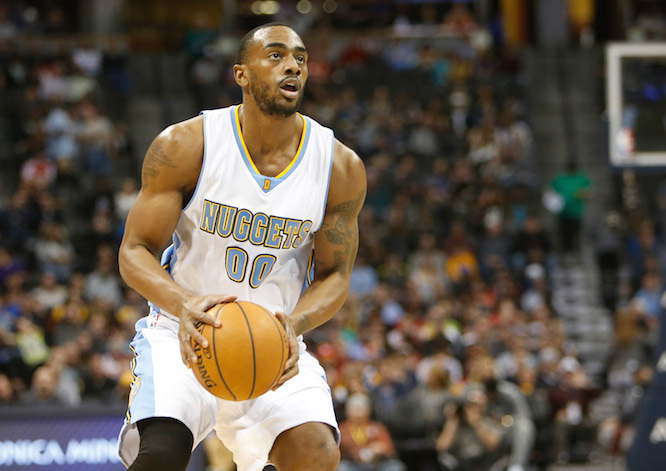 Much like a young Nuggets squad, the veteran point guard appears eager to prove himself. Thomas had been sitting on the free agent market without many suitors vying for his services, and Denver had questions over who would be the team’s backup point guard behind Jamal Murray, so the deal seems like a perfect fit for a Nuggets team that has already made a variety of moves this offseason. Thomas’ game was limited by a hip injury last season, which seemed to erode his value on the open market. But the versatile point guard is just two years removed from helping lead the Celtics to the Eastern Conference Finals. A series in which he averaged 28.9 points and 5.9 assists per game on 46 percent shooting, while also shooting 37 percent from 3-point range. He led the NBA in points scored in the fourth quarter, finished fifth in MVP voting, and even managed to challenge the Cleveland Cavaliers in the league finals. Yes, there are still questions about how Denver will defend. On paper, the Nuggets look like a team that will continue to be one of the leagues worst defenses, but adding a player of Thomas’ caliber and filling a role that was one of the team’s biggest question marks is a phenomenal move for the organization. When taking all things into account, Denver truly accomplished a remarkable feat. They shipped out once-starter turned seldom-used Kenneth Faried to Brooklyn, along with Darrell Arthur, a first round protected pick and a future second-round pick. The Nuggets received Isaiah Whitehead, who they quickly waived. While others taking a look at the situation expected Faried and/or Arthur to be stretched, having to give up only a protected first rounder and a future second round pick without having to give up any other young players in the organization is generally a great move for the Nuggets. If there is anything can be deemed bad, it would be the timing of the move. There were other moves that could have benefited the organization more. If the trade happened, then Torrey Craig and Jarred Vanderbilt were signed and Denver had stalled, the team would have had more flexible options this offseason. With Denver not stalling, they are unable to use the remaining balance on their in-taxpayer mid-level exception as well as the full bi-annual exception; and also cannot use the $2.5 million they have remaining in the tax-payer mid-level. While this is not a big error, especially considering Denver most likely would not have used the exception, regardless, it does show difficult things truly are when attempting to manage the cap. Usually when a player fails to get an opportunity to be consistently be on the floor and a fan-base does not understand why that particular player is on the roster, those fans would be excited to see that player go. That does not appear to be the case with Darrell Arthur. Tim Connelly still wanted Arthur on the team, Micheal Malone still wanted Arthur on the team and his teammates were sad to see him go. The trade itself had little to do with Arthur and more to do with what it appears to be organization’s attempt to avoid the luxury tax like the black plague. But this was a move that was to be expected for a player that only appeared in 19 contests last year and averaged 2.8 points a game. So, why does it hurt so bad? When Denver moved Arthur, they were moving a veteran captain, a voice of reason and part of the heart of the team. His locker room presence and competitive nature will truly be missed. Arthur pushed his teammates to be better both on and off the court and that competitiveness impacted his teammates by allowing the Nuggets to kick-start themselves in the direction they are headed now. Faried, on the other hand, was truly one of the most understood members of the organization. During his seven years in Denver, fans saw it all from Faried -the good, the bad and the ugly. “The Manimal” is as a polarizing of a player that the Nuggets have had but he certainly had plenty of highlights in the Pepsi Center and was a key member of the rotation since breaking in the league. He was an integral part of that 2012-13 regular season team that won 57 games, consistently sending the Pepsi Center into a ruckus with highlight dunk after dunk and an energy that genuinely impacted the outcome of the game. Over time, Faried began to see his minutes shrink by the year. After being one of the most beloved and exciting members on the squad for years, Faried quickly transitioned into a guy that only saw the floor during garbage time when his game failed to evolve. He was a player that developed bad wrap in the locker room during the Brian Shaw-era, but ultimately became a veteran leader for the younger guys in recent seasons. Paying $46 million and locking up two roster spots for a pair of guys that rarely saw the floor would have been a tough move for the Nuggets to justify. Arthur is a hard nosed veteran that understood every single situation and provided a voice that every player in the locker room listened to. Faried was a player that the team has been rumored to be shopping for some time and no. Maybe, just maybe he will be able to get another to be the high energy player he used to be in Denver and “unleash the Manimal” for the Brooklyn Nets. One thing is for certain though – they will both be missed.